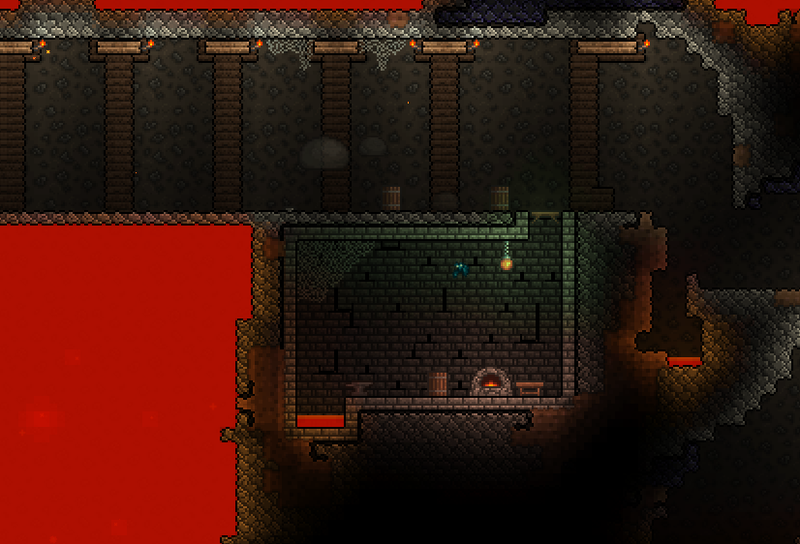 The Magma Canyon is a survival adventure map that let's you complete quests in a completely different world while you play Terraria normally. A kingdom, fallen to the Eater of Worlds. It has sunken into the depths of the underworld. The King later returned as Wall of Flesh, and the Eater of Worlds has went to another world. Your player has died to the Wall of Flesh, but somehow appeared back in a canyon of magma due to the magic of the Wall of Flesh. You have spawned in one of the small remaining areas of the kingdom. Can you survive and get revenge on the Wall of Flesh? You only get 200 wood at startup, use it wisely. You can't grow any trees unless you get to the floating island, which should be a goal at start. Get a merchant and other NPCs as fast as possible. They will be useful. Well either way, I've put it into more detail now. Before posting tips and crap, can you tell us what this map is about? when I first saw this, I thought it was an adventure map or something. Thanks!